You can make whatever you chose more comfortable for over nighting by adding a Bimini with side, aft and front curtains. Have them put zippered screens in the side and aft curtains. We had this in our 280 and it made it much nicer for overnighting or a rainy day. Last edited by Padraig; 08-16-2016 at 04:28 PM. 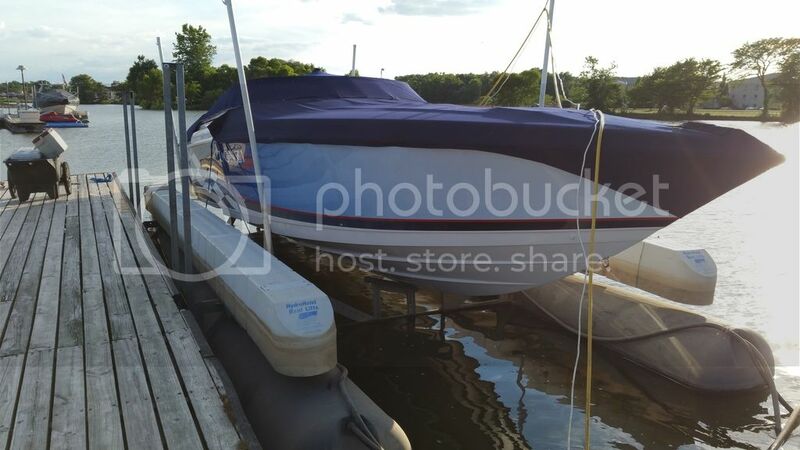 Roomy wide beam 9'6" fast 80mph with 500efi's big cabin with 5'4" headroom bathroom heat/air fridge microwave all kinda goodys for a speed boat but not free. Even the ones that need a lot of work are still in the 30s. We weekend on it from Friday through Sunday every weekend. Powerquest 320sc, Monterey 298sc, formula 330ss, sonic 31 35 358. 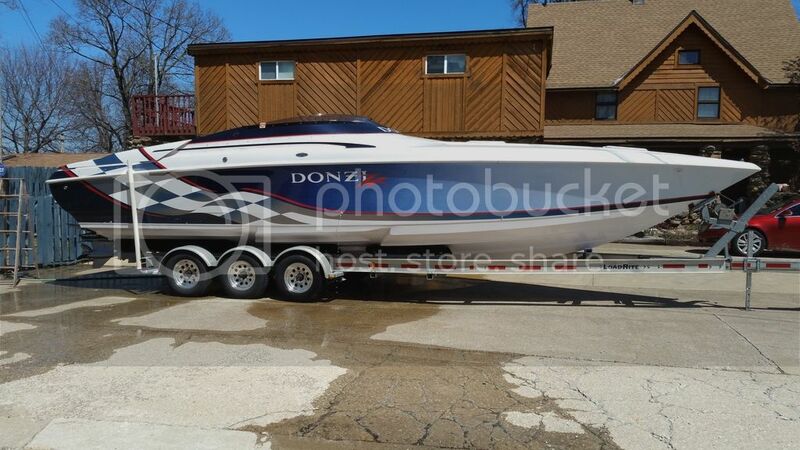 After owning a Sonic 358...I would not call it a great "family" boat at all...maybe family sized cabin but that is it. Still a small and tight cockpit for anything more than 4 people. Not to change the subject but I see you had a Mach1, I have to kinda laugh because I have a 30ft Concorde sitting in my yard im trying to part out right now, 1 motor is shot, the other will turn over by hand, 1 drive is good and the other I cant seem to get it in gear, bellows and gimbles are both in great shape, cabin in good shape, the floor is gone, stringers where the motors mount are rotted and maybe even the transom, windshield is good but missing small side window on the left. Plan on keeping some of the parts in case I need them for another boat project. I had a 35 footer for just me and the wife and she found it too small, no a/c, and too scary at speed. We then compromised and instead of a full on cruiser we went with a Baja 405 (I'm on my second one). Great boat IMHO, fun to drive 60MPH, comfortable with a very roomy cabin (You can stand up in it) sleeps 4 or 5 with 7.3 generator. also very important was the walk thru in the rear and ton of storage. I don't know your budget but if you can find a nice one then you should consider it. What happened to the 48 fountain EC with the triple 700's? ?